Certis24 can help eCommerce retailers and brands with their market entry research, analysis and implementation strategies to exploit China’s rapid growth in eCommerce. We assist in building a deep understanding of how Chinese consumers buy, what they are seeking from overseas suppliers and how to capitalize on those needs. 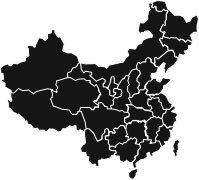 For postal operators, parcels and logistics companies, Certis24 offers structured market entry guidance which includes access to China’s postal system and its rapidly developing ‘alternative’ logistics infrastructure of parcels delivery companies and couriers. Top 5 countries from which Chinese online shoppers purchase: U.S., U.K., Japan, France, New Zealand.